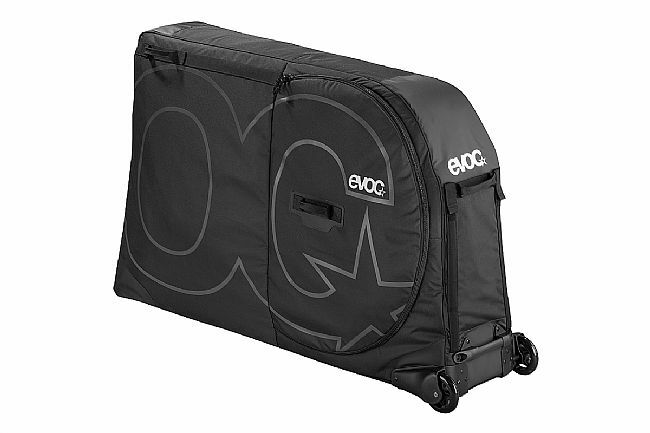 The EVOC Bike Travel Bag is a durable soft-shell reinforced case designed to keep a bike safe on the way to the next race stop. 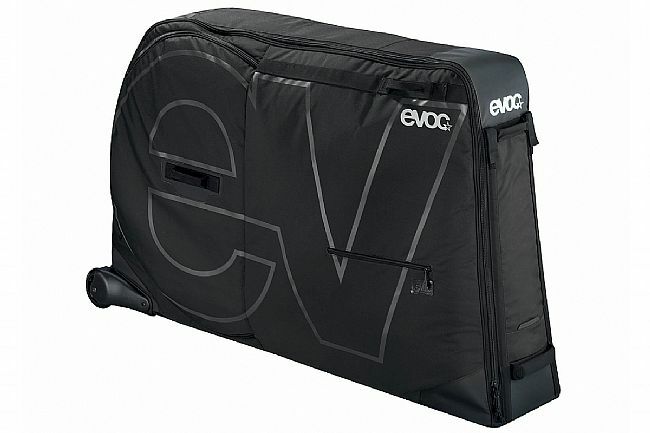 Featuring dedicated padded wheel pockets and an intuitive hook-and-loop strap system to keep the bicycle secure while the 10mm of padding keep everything safe and sound. 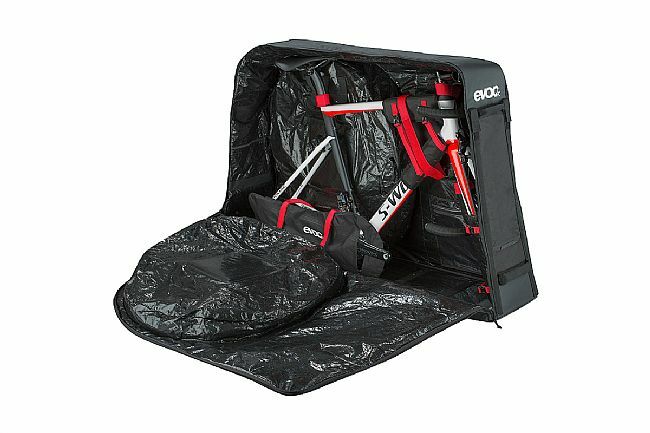 Packing the EVOC case is easy, simply remove the pedals, wheels, and handlebars. 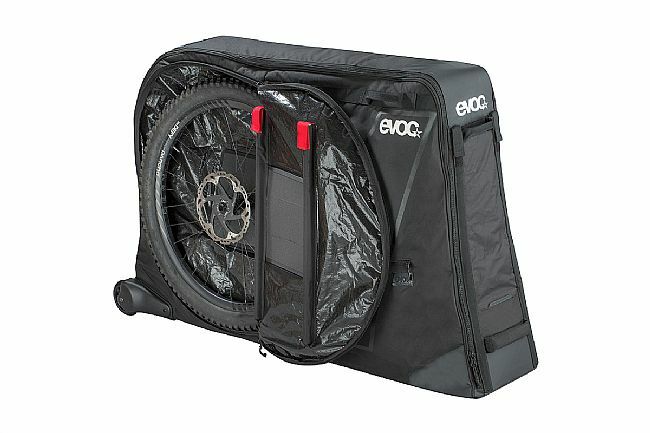 A series of straps keep the bike from shifting inside the case while in transit, and the internal padded wheel pockets keep the wheels from marring the finish of the bike while also adding protection for the rear triangle of the bicycle. Constructed from ripstop nylon with 10mm of padding throughout the case, the abrasion resistant panels keep the exterior looking and feeling good, even after being manhandled by the TSA. 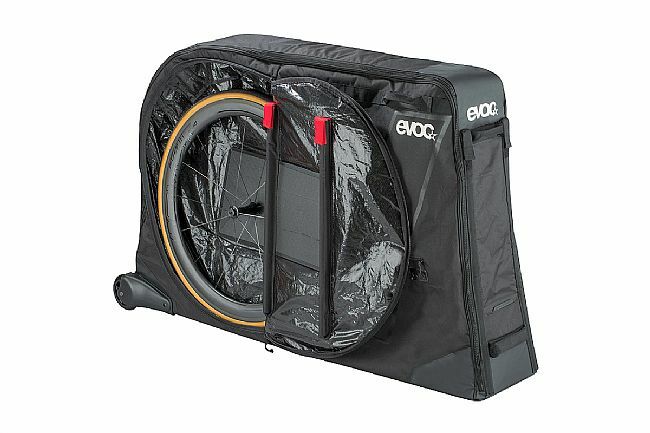 2 integrated wheels with sealed bearings and a series of handles make it easy to transport the case through the airport or train station easy. 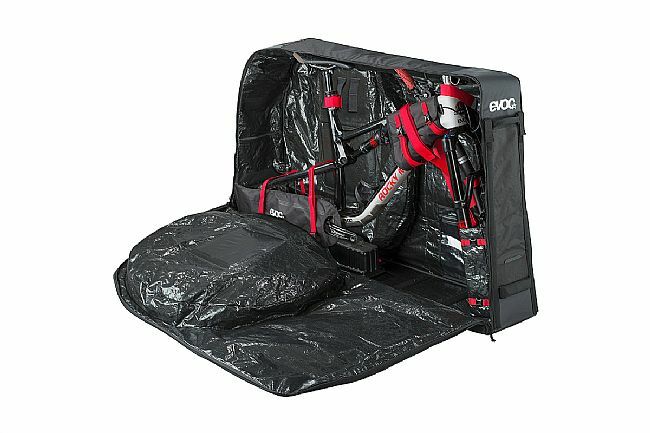 When not in use, the softshell case folds down to about a third of its expanded size, easily fitting into a closet or under a bed. New polycarbonate bike block for fixation included. For safest transport of road bikes and triathlon bikes, you need the aluminum stand or bike stand (sold separately). 54.5" long, 33.5" high, 15" wide. 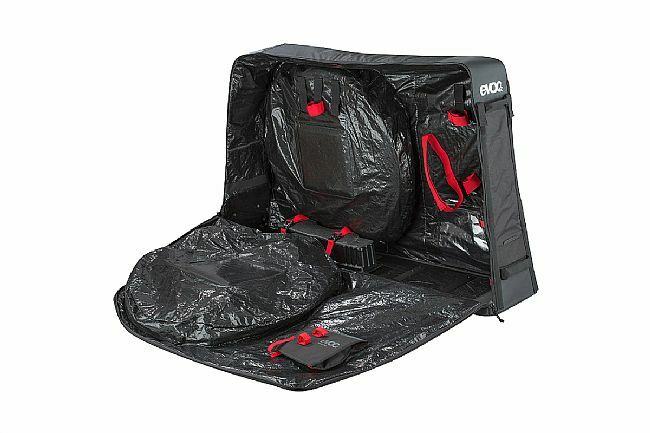 Does everything it's meant to protective and easy to cart around. It's only fault is that it's still just a little bulky when transporting it empty, though that can be somewhat minimized by taking out the support stays. I do really like this though.